Revolutionising the piano playing experience, is the Korg SP-280 Digital Stage Piano, Black. Housing an all new and improved curvilinear design, the SP 280 is made to inspire your creativity. Featuring Korg’s very own Natural Weighted Hammer Action (NW), the SP 280 offers a natural touch and feel that resembles the acoustic piano. Start your learning journey with the SP 280. Carefully designed to support your growth and development. With a built-in metronome, pedal effects, MIDI capability, and touch control, you can refine your skills, and explore a range of creative possibilities with the SP 280. Styled to fit in any space. The SP 280 is suited to fit both small and compact spaces. A beautiful addition to your home, studio, or rehearsal space. This bundle is supplied with a lightweight stand and a damper pedal and finished in black. 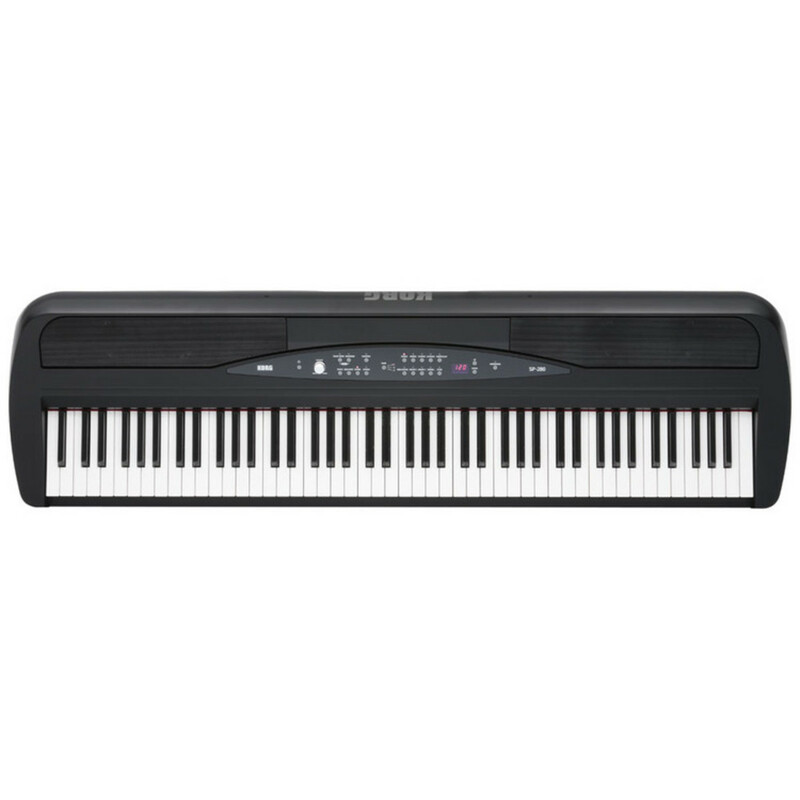 Korg have gone above and beyond to serve you a playing experience that resembles the acoustic piano. Meticulously designed with Real Weighted Hammer Action. Fully equipped with intuitive performance technology. The SP-280 sound switches between four piano samples according to your playing dynamics. The sound will respond realistically to your playing, from powerful crescendos to every subtle touch. While the Classic Piano and Grand Piano sound realistically reproduce damper resonances for a pleasant and enjoyable playing experience. The touch of the SP 280 accommodates both the classic and the modern pianist. 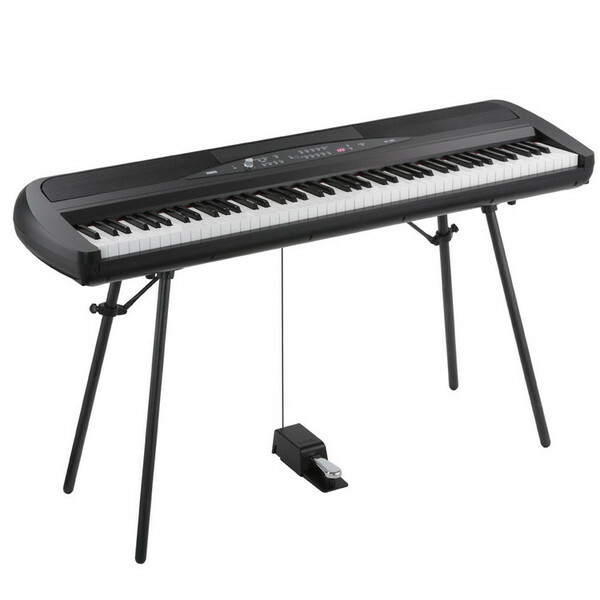 With a fully weighted keyboard, the SP 280 reproduces the same playing experience as a grand piano. As the lower register keys bear a heavier response to the upper register. The responsive hammer action ultimately delivers an expressive performance. Faithfully communicating even, the slightest nuances. 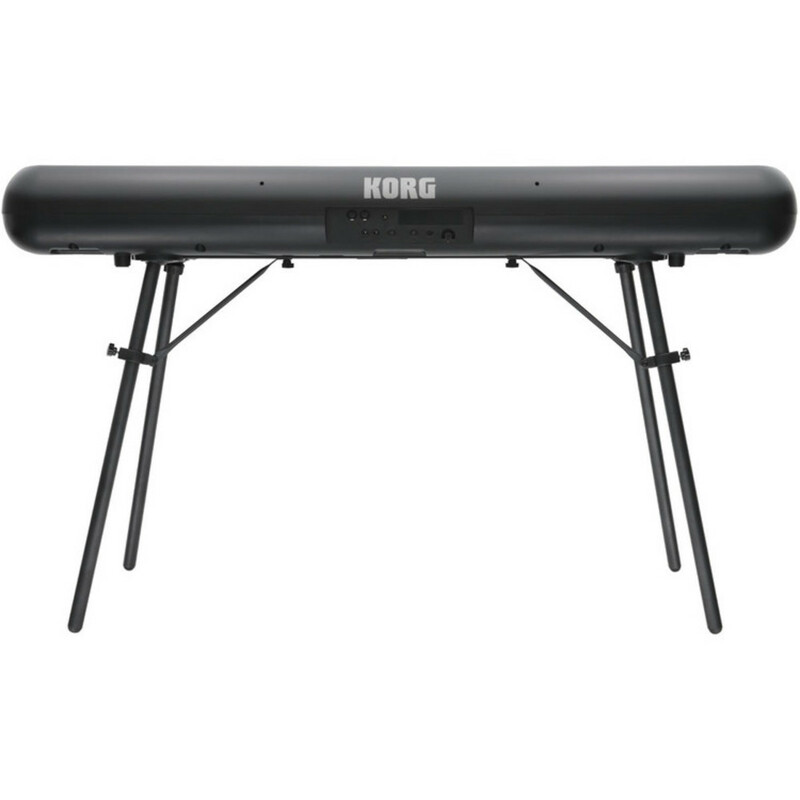 On this occasion, Korg has placed particular emphasis on electric piano sounds. Including six variations of authentic vintage electric piano sounds. The SP 280 samples a range of sounds widely used in pop music of the '60s and '70s, as well as some of the tones that are highly regarded in soul music. There are three effects to make your performance perfect. Brilliance adjusts the brightness of the tone, reverb simulates the natural ambience of a concert hall and chorus adds spaciousness. Connect your SP-280 to an amplified speaker system or recording device using the Line Out stereo mini-jack, while SP-280 supports MIDI, so you can use your SP-280 as a 16-part multi-timbral sound module.